Synopsis: Part biography, part cultural history, The Creation of Anne Boleyn is a fascinating reconstruction of Anne’s life and an illuminating look at her afterlife in the popular imagination. Why is Anne so compelling? Why has she inspired such extreme reactions? What did she really look like? Was she the flaxen-haired martyr of Romantic paintings or the raven-haired seductress of twenty-first-century portrayals? (Answer: neither.) And perhaps the most provocative questions concern Anne’s death more than her life. How could Henry order the execution of a once beloved wife? Drawing on scholarship and critical analysis, Bordo probes the complexities of one of history’s most infamous relationships. Bordo also shows how generations of polemicists, biographers, novelists, and filmmakers imagined and re-imagined Anne: whore, martyr, cautionary tale, proto “mean girl,” feminist icon, and everything in between. In this lively book, Bordo steps off the well-trodden paths of Tudoriana to expertly tease out the human being behind the competing mythologies. My Review: Anne Boleyn is one of the most controversial figures in history. She is either a well-loved or a reviled figure. Many who sympathize with Catherine’s plight often describe Anne as a seductress and a dangerous woman. Anne Boleyn sympathizers view her as a feminist icon. Mrs. Bardo delves into history to give a portrait of who the real Anne Boleyn is. She also shows us a modern historian’s view on Anne Boleyn and how Anne has been portrayed in popular media. I thought that Mrs. Bardo did a great job in reconstructing the life of Anne Boleyn. She reminds us that we really do not know the real Anne Boleyn because most of the sources were written by Anne’s enemies. She also did an excellent job in describing Henry’s personality and explored the reason why Henry killed her. She explained that Henry had a tendency of turning on those he loved the most. Thus, she gives us a detailed look at Anne’s romance and why she fell from favor. I also liked how Mrs. Bardo looked at how modern historians have portrayed Anne Boleyn. She claims that David Starkey’s famous biography, The Six Wives of Henry VIII is more of a dramatic soap opera than history. She claims that he portrayed Anne as a woman who cries to Henry in order to get her way (on p. 4). I was a teen when I first read David Starkey’s book, but I do remember he did not paint her in a positive light. She also claims that Mrs. Weir makes many negative suppositions about Anne that are not backed up with evidence. Thus, she advises us to not take these historians words at face value, but to do further research. This is because they have a negative bias to Anne and paint their narrative to fit their agenda. I have to say that I have read many of Alison Weir’s books because she is my favorite historian. She does have a bias in her novel. However, I think that in her books regarding Anne Boleyn, she is very objective and holds a certain amount of sympathy for her. I like how Anne Boleyn has been portrayed in our popular culture. Most see Anne as a femme fatale. She shows how Anne is portrayed in Anne of a Thousand Days. Anne is seen crying and believes that Elizabeth will be queen. In The Tudors, she is also stereotyped in the home-wrecker role. However, she is shown to be a caring mother. She also analyzes Philippa Gregory’s novel, The Other Boleyn Girl. She claims Philippa Gregory’s novel is the most vicious portrayal of Anne Boleyn. She is seen as the Wicked Witch of the West doing whatever is necessary to get her way. She tells us how Philippa Gregory got Anne wrong. I am a huge Philippa Gregory fan, and The Other Boleyn Girl was the first novel to introduce me to her. However, Mrs. Gregory also uses the witch trope a lot. Many of the royals are witches, Jacquetta of Luxembourg, Elizabeth Woodville, and Elizabeth of York. Anne as a witch is really nothing new with Philippa Gregory. 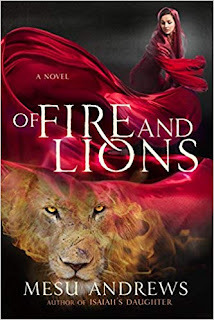 Her books are usually in the historical fantasy category. Thus, I do not think that Mrs. Gregory’s portrayal of Anne was the cruelest, and that her creation of Anne tainted many people’s view of her. Overall, The Creation of Anne Boleyn gives us an in-depth look at this tragic queen. While I did not agree with some of her views of how she portrays Alison Weir and Philippa Gregory, I was reminded that Anne deserves to be further examined. The novel was very engaging and it was fun to learn how popular culture has shaped our image of Anne. Mrs. Bardo shows that many people throughout the world still love Anne Boleyn. 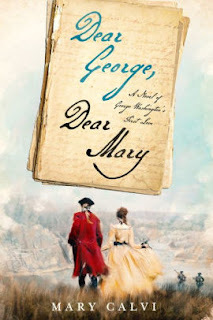 It is clear that the author has an admiration for her subject, and she wrote this book to redefine Anne because she believes that she has been unjustly attacked in history and popular media. This book is obviously written for those who know Anne Boleyn’s story. So, if you do not know much about this queen I suggest you read other biographies prior to reading this. 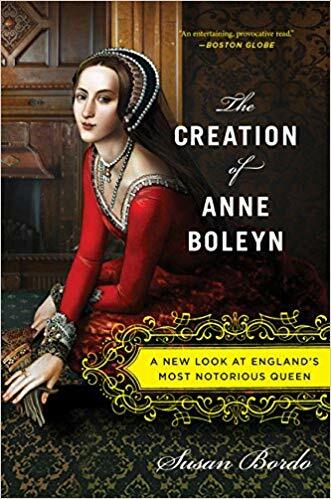 While The Creation of Anne Boleyn may not be the best book in Tudor history, it is still a must-read book for fans of Anne Boleyn! Have to disagree with you on PG. So many people I've met who hate Anne say because of TOBG. Great review. Used it for research while I did The Most Happy. Yes. Since that was such a popular book and movie, many people take the character of Anne at face value and count it as fact. In truth, Anne was not as conniving as what she was made out to be. She may not have been a complete angel by any means, but basing their opinion on one source is unfortunate. I get a lot of hate for liking Anne. I am not saying everyone has to like her but provide a reason other than "I read TOBG."